What does it take to screw in an iPhone 5 ? The hands of students, of course. Chinese newspaper ShanghaiDaily is reporting “thousands” of students from the eastern Chinese city of Huai’an in the Jiangsu province are being forced to attend “internships” in which they work in a Foxconn factory assembling iPhone 5s. According to statements by the students, university classes have been cancelled and students are being driven by the hundreds from their schools and universities to work in the Foxconn factory, without Foxconn so much as informing parents or signing written contracts with the students. The students, who started working there this past Thursday, claim to be forced to work 12 hour shifts, six days a week. In return, the students are paid 1,550 yuan a month, or roughly US$243.97, much of which is put towards living arrangements such as food and shelter. Apparently this is happening because Foxconn has a shortage of 10,000 workers and needs people to assemble iPhone 5s to meet expected demand once the phone goes on sale in late September. The worst part is universities and teachers are justifying cancelling classes in favor of these “internships”. According to China National Radio, local teachers admitted schools have been closed for one to two months; they also said these “internships” are a mandatory part of coursework and allow students to “experience working conditions and promote individual ability”. It’s hard for students to find jobs which are precisely related to their majors. Therefore, they are encouraged to go to factories to learn more about society. While this may look like a shocking move by the Chinese education system, Chinese lawyer Wu Dong says closing classes and forcing students to work in factories is against Chinese higher education and labor laws; he says all parties involved, from the schools to the teachers to Foxconn, can be sued. Too bad most of the students being forced to work at Foxconn are probably too poor or too afraid to hire a lawyer. 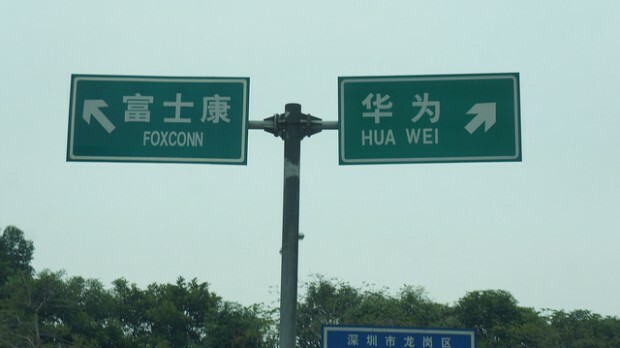 For what it is worth, it should be noted these factories are operated by Foxconn, a Chinese manufacturing company, and not Apple . Apple contracts out to Foxconn to manufacturer Apple products, so to say Apple is forcing university students to miss classes in favor of assembling iPhone 5s isn’t an accurate statement. (Note: Apple is not the only company to use Foxconn to manufacture products. Many other major technology companies do also.) However, Apple has strong influence over Foxconn thanks to the huge demand for Apple products. Combine that influence with the boatload of cash Apple has on hand and it is fair to say Apple could do something about incidents like the ones mentioned above, if it wanted to. Let’s just hope Apple steps up to the plate sooner rather than later, for the sake of the people being forced to work against their will.